Do you face any of the following symptoms in your DC? Your warehouse is completely full and you are presently storing some of your active products in an outside rental warehouse. The slow moving items occupy the main warehouse. After some months, in-bound trailers bringing FAST moving products are diverted to an overflow warehouse, usually within 5 miles of the main DC. Every day, the Fast moving items are picked in the overflow warehouse and brought in a ‘transfer truck’ to the main DC. Picking activity in the main DC, by customer order or truck stops needs to be staged on the dock, waiting for the transfer truck. After merging the 2 parts of each order, they are shipped. Make multiple trips through your stocking aisle? Get frustrated, then put away the pallet wherever there is an empty slot? We call this “quick stick”. >>Such practices result in products being slotted without any consideration for its velocity, its family and the proper slot size. After few months, you may find that almost 50 to 60 percent of all the SKU’s are slotted in the wrong slots. Since the warehouse is full, there is no way to ‘undo’ the situation. You pick and ship an item, before it is properly received and put away. Imagine a receiving dock that is full of products just received. And imagine, there are some key items required for a promotion or back ordered by the customers. There is no time to receive, put away, stock the item and update the inventory records. You allow your order pickers to pick from the receiving dock and add to their customer orders. You can see 5 more commonly found conditions in the video below. How do you solve these common warehousing challenges? Where do you start? Meet with you senior warehouse staff. They are solving many problems everyday without telling the management. Arrange to walk with one order picker and observe the process. With their permission, take a few pictures of the process. Are they following a particular route? Are there any cross tunnels to help speed up the process. How do they prepare the pallet for shipping? 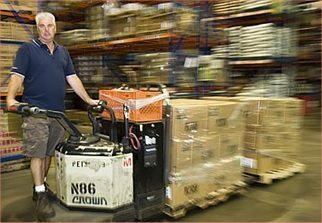 In a similar manner, follow few in-bound put-away forklift drivers and see how they slot the products. Do the math – How much does the warehousing problem cost you? 4 feet per pallet of extra distance traveled. Next time, when you walk in any aisle in your facility, try to determine how many slots contain popular items and how many used to be popular a few months ago. The unpopular items may be an out-of-season item, discontinued item or an item where a newer item of the same kind has replaced it. Each pallet has an approximate facing of 4 feet. Every time an order picker walks by that unpopular item or a forklift drives by that unpopular item, it takes some travel time and hence costs money. In the table above, we have calculated the annual cost of traveling past (1) pallet containing an unpopular item. Take care of your DEAD items. These are sku’s that have not sold in (1) month. They continue to occupy large slots in premium sections of the DC. We need to find smaller slots in a remote part of the warehouse and move these Dead items. This will release many full size pallet slots. Use Best-Fit heuristics (for both pallet racks and floor stacked bulk storage. Here are some ideas to help you increase warehouse capacity and organize your space. 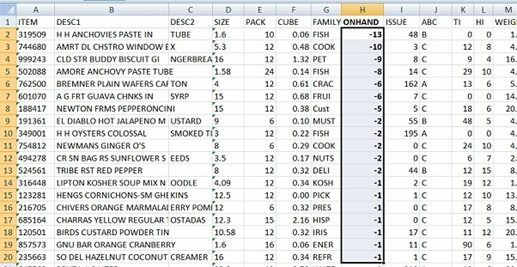 For a bulk storage layout in a finished goods warehouse, find the optimum storage depths to minimize honeycombing. Here are some suggestions on how to assess your current warehouse performance. For both slotting and cube usage, calculate an index of performance. This tells you, where you are now. 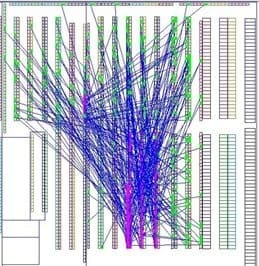 Use BEST-FIT heuristic analysis to find the best layout for bulk storage as well as pallet rack layouts. Using the weekly re-slotting process, you can reach your goal in 2 to 4 months.